Suffering, tribulations, bearing our own cross, pain, crying, and death – well, this was a far cry from what I had heard Kenneth Copeland preaching. That was my first experience with discernment from the Lord. It was overwhelming to me to know that my heavenly Father protected me from the heresy I heard when I was a little more than a year old in Him! If you have not read The Shack, you are blessed. If you, because of my article, decide to look for it, I do hope that you will see it as garbage. I’m sorry, but I tell the truth about these things. I think more people need to be vocal. 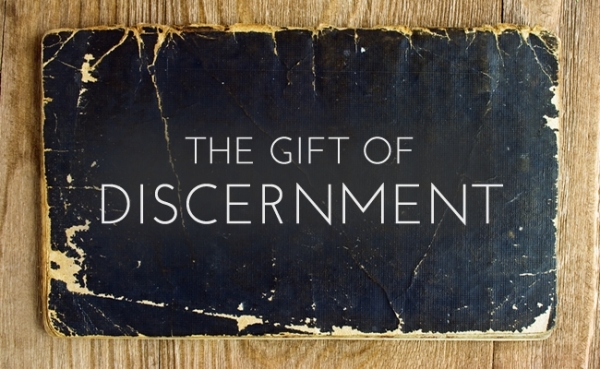 If you have discernment from God and you see a brother or sister lacking in discernment, help them! People with itchy ears like to hear what makes them feel good. The Bible is not a smorgasbord; pick what you like and leave the rest. The Bible is God’s Word to us. Everything we need to know about Him and about life is found within its pages. How amazing is that? The Creator of the universe is our Father and wants us to know what is good for us and what is not. Did you see that? Even after they heard preaching, they went to the Scriptures to make sure they had heard the truth. I’m sure you’ve heard, “Be a Berean” We should all be like the Berean church. Perhaps you have placed yourself under false teaching, and have not repented and trusted Jesus alone for the forgiveness of your sin. There are many preachers who love to tickle itchy ears. Does your preacher speak about sin, and how it separates us from God? Does he preach repentance – agreeing with God that you are a sinner, and to turn away from it? If he does not, then you are playing church. You sign up to help for every event. You may even teach Sunday School. You are a helper at every Vacation Bible School and of course you are on the clean-up team. These are all good things! But if you think that doing these good deeds will get you into heaven, you have missed the gospel of Christ. How many good deeds is enough to gain entry into heaven when you die? Have you never seen this Scripture? The Bible says that God is sending “strong delusion” in these end times. The Bible makes it very clear why God is sending this delusion. So if you think you lack discernment, could it be that you have neglected the reading of God’s Word? Perhaps after you study His Word, you will begin to apply what you’ve learned to your life. You may see that the preachers you have been relying on to impart wisdom from God’s Word have actually been preaching a different gospel. That’s a scary thought, but isn’t it more scary to continue listening to empty and deceitful words? So, You Love Jesus but Hate Israel?